On July 22nd, 2015, four fireballs flew over the Iberian Peninsula. 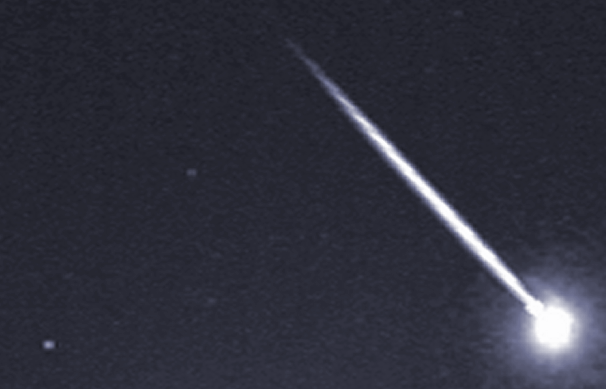 Calar Alto fireball detection station and the west surveillance webcam, detected the one that crossed Málaga Skies. This object came from Comet 169P/Neat and took place at 22:07 UT. 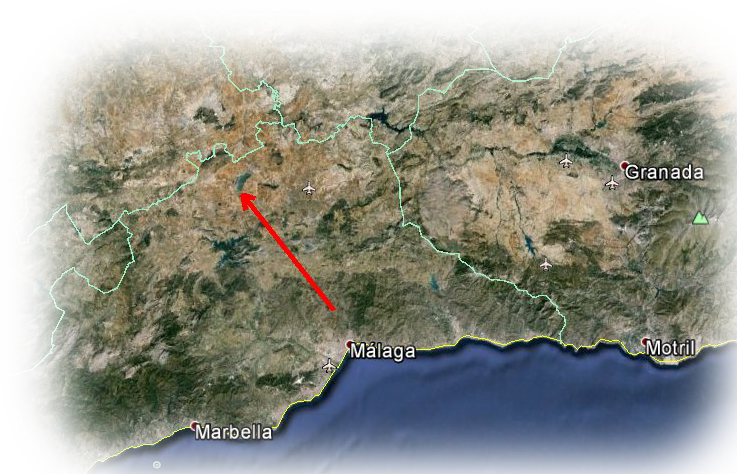 The fireball impacted our atmosphere at about 80.000 km/h over Málaga province (South Spain). The fireball started over 100 km above the ground and moved northeast, extinguished when it was at about 71 km over the sea level. This event is associated to the meteor shower of alpha-Capricornids. It is expected this rain will still be active during next days, so it is possible more of these fireballs could be observed during the nights ahead. This rain is known to produce spectacular fireballs. Below you can see the path the object followed over the ground and the videos taken with the Calar Alto fireball detection station and the west surveillance webcam. The videos. First one is from the Calar Alto fireball detection station and the second one is from the west surveillance webcam. The bright light is the moon.